Locksmiths of Cardiff offers the best and comprehensive key cutting services. We have a team of highly trained staff with years of experience in cutting keys using the latest state of the art technology and who are versed with the latest key cutting machines. Our wide range of machinery enable us to cut a wide range of keys. Our staff fully understand the need for perfect and accurate interaction between the lock and the key. Our keys are hand finished to ensure there are no sharp edges that can damage your hands or locks. Keys with poor finishing can over time dent the locks, and with time, they can lead to breaking the lock, spoil the lever and detainers in the lock thus causing more damage. We provide key cutting services for commercial and domestic customers. We have a wide range of blank keys ready to be cut, and our customers are assured of fast and accurate services. Our state of the art machines for cutting keys are the best in the industry; they give accurate and detailed keys that no other company can match. We also offer a wide range of specialist and security restricted keys which take a bit longer to cut depending on the security details needed. You can always get an extra key for your front door, back door, window, safe or even for a specific room in the house. There are various reasons why getting an extra key is essential in your household. We make key copies for any type of lock, and we will cut the key copy as you wait giving you extra confidence that the key we cut for you is the only copy we make. Whether you want an extra key, replace a broken key or repair a faulty one, we can repair or make you a new key for you following your specifications. Locksmith services in Cardiff can replace the blade, the casing or the buttons of your current key at a lower price compared to buying a new key. All our stores can cut all basic and chipped car and motorbike keys as they have all needed state of the art cloning machines. All keys are cut and delivered on the same day. However, if you need specialist remote key, we can refer you to specialist auto branches. We stock most types of the gates and garage door remotes. Though some might have been discontinued by the manufacturers, we are able to source them from third parties for our customers. We help our customers in sourcing new remotes and repair of the old faulty ones. With our services, you are guaranteed the best and quality services. We do offer remote programing services and in case you face any difficulty during installation, our help lines are always ready to pick your calls and give a helping hand. These are mostly known as copy keys. They do not have any remote function on the key. Locksmith in Cardiff is well known for its quality and well cut copy keys. With our state of the art machines, we are able to make copy cut of the original key. You can call in to your nearest Locksmith key cutting store and order your copy key. Technology has advanced and has brought about many ways to have access to your car, motorbikes, home’s gates and house doors without physical contacts. 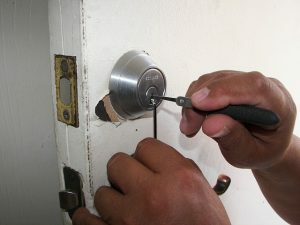 Locksmith has not been left behind in bringing you the most needed services. We have a wide range of remote keys cutting machines that will match your needed kind of keys. We can supply, cut and program new and original remote control keys. Our keys are not different from those you buy from dealers, but we are much cheaper by almost 20 percent, thus, using our services is cost effective, efficient and no compromise to quality.